The Presidency of the Council of the EU will be held in Bucharest for the first time since Romania joined the EU, from January to June 2019. The Romanian Presidency opens the Trio of Presidencies composed also by Finland and Croatia, and it will be the final Presidency acting throughout the current legislative cycle of the European Parliament. A bunch of challenges such as the dossiers on the Presidency table are delicate and the political polarisation that is rising ahead of the elections will not help it. On top of it, there is a more and more Eurosceptic – …and socialist! – government to lead the Council, where a number of raised eyebrows is rapidly increasing, stemming from the corruption scandals that are shaking the Romanian leadership. Challenging presidency, we were saying! Romania’s new EU Affairs Minister George Ciamba – who substituted former MEP Victor Negrescu – argued in an interview to Politico that domestic political turbulence should be viewed separately from preparations for the Council Presidency, saying the latter is largely in the hands of diplomats and civil servants. “I wouldn’t emphasize so much the political situation,” he added, arguing that each country has a“vibrant political life.”It is ultimately up to Romanian politicians’ ability to get rid of emphasis on the domestic affairs and help the European leaders to focus on the common dossiers. Speaking of which, Bucharest is charged with sealing agreements on a number of key policy issues, before May’s European Parliament election — including presiding over Britain’s departure from the EU. Moreover, negotiations on the EU Multiannual Financial Framework for 2021-2027 have been and will continue being in the eye of the media storm. The failure to approve it by the end of the mandate means in fact that it will be discussed and be part of the debate ahead of the elections. Romania’s Presidency will also have to wrap up the debate on the future of Europe, to be concluded with the Europe Day 2019 Summit in Sibiu. A meeting surrounded by expectations and anxiety. 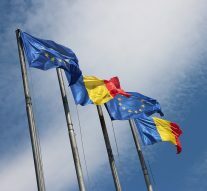 Romanian authorities declared that they hope that 2019 will relaunch the European project, the same way that, three decades ago, the year 1989 opened up a new chapter for Central and Eastern Europe. The ability of their presidency to wrap up the Future of Europe process in a meaningful manner will definitely be a determinant for the project to be revamped. But, clearly, only political parties and a positive turnout will actually cover the crucial function for the revitalisation of the EU democracy and the perspectives for the EU integration with it. Romanian Presidency will focus on four main priorities, under the motto of cohesion, understood as unity, equal treatment and convergence, a Union that leaves no member country and no citizen behind. The most interesting legislative dossiers that Bucharest will handle are the digital transformation – including cybersecurity, innovation and skills, women in tech, and Artificial Intelligence – and above all the long-stalled package of migration measures. The Romanian Presidency will try to close the migration and asylum files “but the reality is that the useful period of time is not so long.” Perhaps, it may be the political will to close this file before the elections that are lacking, rather than time.